Carbon monoxide (CO) poisoning is the most common cause of mortality due to inhalation toxicity. CO can affect multiple systems in the body and manifest a wide range of symptoms; thus, the diagnosis of CO poisoning can easily be overlooked. In reality, the cases of CO poisoning is much higher than reported, which makes it crucial to take first-step protective measures. The most sensitive tissues to CO poisoning are vital organs (brain, heart) with a high oxygen demand. Neuropsychiatric syndrome which may develop in the chronic period (three to 240 days) should also be considered. If diagnosed, the treatment of CO poisoning should be symptomatic and aimed at removing carboxyhemoglobin (COHb) from the blood, coupled with provision of effective basic life and advanced cardiac life support. The best way to remove COHb is to deliver 100% oxygen. Hyperbaric oxygen (HBO) therapy reduces COHb much faster; therefore, patients with the indications of HBO therapy should be started on this treatment without delay. 1-	Akköse S, Türkmen N, Bulut M, Akgöz S, Işcimen R, Eren B. An analysis of carbon monoxide poisoning cases in Bursa, Turkey. East Mediterr Health J. 2010; 16(1): 101-106. 2-	Cobb N, Etzel RA. Unintentional carbon monoxide-related deaths in the United States, 1979 through 1988. JAMA. 1991; 266(5) :659-663. 3-	Sever H, İkizceli İ, Avşaroğulları L, Sözüer ME, Özkan S, Yürümez Y, Yavuz Y. Nonspesifik Semptomlarla Acil Servise Başvuran Hastalarda Karbonmonoksit Zehirlenmesi. Türkiye Acil Tıp Dergisi. 2005; 5(1): 18-21. 4-	Kandiş H, Katırcı Y, Çakır Z, Aslan Ş, Uzkeser M, Bilir Ö. Acil Servise Karbonmonoksit Entoksikasyonu İle Başvuran Olguların Geriye Dönük Analizi. Akademik Acil Tıp Dergisi. 2007; 6(3): 21-25. 5-	Hampson NB, Weaver KL. Carbon monoxide poisoning: a new incidence for an old disease. Undersea Hyper Med. 2007; 34(3): 163-168. 7-	Song KJ, Shin SD, Cone DC. Socioeconomic status and severity-based incidence of poisoning: a nationwide cohort study. Clinical toxicology. 2009; 47(8) :818-826. 8-	Salameh S, Amitai Y, Antopolsky M, Rott D, Stalnicowicz R. Carbon monoxide poisoning in Jerusalem: epidemiology and risk factors. Clinical Toxicology. 2009; 47(2): 137-141. 9-	Centers for Disease Control and Prevention (CDC). Carbon monoxide--related deaths--United States, 1999-2004. MMWR Morb Mortal Wkly Rep. 2007; 56(50): 1309-1312. 10-	Hampson NB. Pulse oximetry in severe carbon monoxide poisoning. Chest. 1998;114:1036-1041. 11-	Centers for Disease Control and Prevention (CDC). Unintentional nonfire-related carbon monoxide exposures—United States, 2001-2003. MMWR Morb Mortal Wkly Rep. 2005;54:36-39. 12-	Weaver LK, Hopkins RO, Chan KJ, et al. Hyperbaric oxygen for acute carbon monoxide poisoning. N Engl J Med. 2002;347:1057-1067. 14-	Rajiah K, Mathew EM. Clinical manifestation, effects, diagnosis, monitoring of carbon monoxide poisoning and toxicity. Afr J Pharm Pharmacol. 2011;5:259-64. 15-	Thorn SR, Keim LW. Carbon monoxide poisoning: a review epidemiology, pathophysiology, clinical findings, and treatment options including hyperbaric oxygen therapy. Journal of Toxicology: Clinical Toxicology. 1989;27(3):141-56. 16-	Sato K, Tamaki K, Hattori H, Moore CM, Tsutsumi H, Okajima H, et al. Determination of total hemoglobin in forensic blood samples with special reference to carboxyhemoglobin analysis. Forensic science international. 1990;48(1):89-96. 17-	Keith W, Van Meter. Carbon monoxide Poisoning. In Tintinalli JE, Kelen GD, Stapczynski JS (eds). Emergency Medicine A Comprehensive Study Guide, New York: McGraw-Hill, 2000:1302-06. 18-	Finck PA. Exposure to carbon monoxide: review of the literature and 567 autopsies. Military medicine. 1966;131(12):1513-39. 19-	Çıkman M, Kandiş H, Sarıtaş A, Çandar M, Kahriman Ç. Kronik karbonmonoksit maruziyeti ve nöropsikiyatrik semptomlar. Journal of Harran University Medical Faculty. 2013;10(1). 20-	Sebbane M, Claret P, Mercier G, et al. Emergency department management of suspected carbon monoxide poisoning: role of pulse CO-oximetry. Respir Care. 2013;58:1614-1620. 21-	Peter F Clardy, MD, Scott Manaker, MD, PhD, Holly Perry, MD. Carbon monoxide poisoning. Literature review current through: Jul 2016. | This topic last updated: Aug 18, 2015. 22-	Coulange M, Barthelemy A, Hug F, et al. Reliability of new pulse COoximeter in victims of carbon monoxide poisoning. Undersea Hyperb Med. 2008;35:107-111. 23-	Parkinson RB, Hopkins RO, Cleavinger HB, et al. White matter hyperintensities and neuropsychological outcome following carbon monoxide poisoning. Neurology. 2002;58:1525-1532. 24-	Raphael JC, Elkharrat D, Jars-Guincestre MC, et al. Trial of normobaric and hyperbaric oxygen for acute carbon monoxide intoxication. Lancet. 1989;2:414-419. 25-	Thom SR, Taber RL, Mendiguren II, et al. Delayed neuropsychologic sequelae after carbon monoxide poisoning: prevention by treatment with hyperbaric oxygen. Ann Emerg Med. 1995;25:474-480. 26-	Deschamps D, Geraud C, Julien H, et al. Memory one month after acute carbon monoxide intoxication: a prospective study. Occup Environ Med. 2003;60:212-216. 28-	Henry CR, Satran D, Lindgren B, et al. Myocardial injury and long-term mortality following moderate to severe carbon monoxide poisoning. JAMA. 2006;295:398-402. 29-	Kwon OY, Chung SP, Ha YR, et al. Delayed postanoxic encephalopathy after carbon monoxide poisoning. Emerg Med J 2004; 21:250. 30-	Hampson NB, Little CE. Hyperbaric treatment of patients with carbon monoxide poisoning in the United States. Undersea Hyperb Med 2005; 32:21. 31-	Tunçok Y, Kalyoncu K. TC Sağlık Bakanlığı birinci basamağa yönelik zehirlenmeler tanı ve tedavi rehberleri. SB, RSHMB, Hıfzısıhha Mektebi Müdürlüğü. 2007;14:35-8. 32-	Katirci Y, Kandiş H, Aslan Ş, Kirpinar İ. Neuropsychiatric disorders and risk factors in carbon monoxide intoxication. Toxicology and industrial health. 2010:0748233710387632. 33-	Pace N, Strajman E, Walker EL. Acceleration of carbon monoxide elimination in man by high pressure oxygen. Science 1950; 111:652. 34-	Ernst A, Zibrak JD. Carbon monoxide poisoning. N Engl J Med 1998; 339:1603. 35-	Gill AL, Bell CN. Hyperbaric oxygen: its uses, mechanisms of action and outcomes. QJM 2004; 97:385. 36-	Leach RM, Rees PJ, Wilmshurst P. Hyperbaric oxygen therapy. BMJ 1998; 317:1140. 37-	Undersea & Hyperbaric Medical Society. www.uhms.org (Accessed on August 09, 2005). 38-	Medicare Coverage Issues Manual. Publication no. HCFA-Pub6 Transmittal 129, Department of Health and Human Services (DHHS), Health Care Financing Administration (HCFA), 2000. www.cms.hhs.gov/manuals/pm_trans/R129CIM.pdf. 39-	Mathieu D, Marroni A, Kot J. Tenth European Consensus Conference on Hyperbaric Medicine: recommendations for accepted and non-accepted clinical indications and practice of hyperbaric oxygen treatment. Diving Hyperb Med 2017; 47:24. 40-	Prockop LD, Chichkova RI. Carbon monoxide intoxication: an updated review. J Neurol Sci 2007;262(1- 2):122-30. 42-	Jokinen-Gordon, H., et al., A Retrospective Analysis of Adverse Events in Hyperbaric Oxygen Therapy (2012-2015): Lessons Learned from 1.5 Million Treatments. Adv Skin Wound Care, 2017. 30(3): p. 125–129. 45-	Al B, Yildirim C, Zengin S, Cavdar M, Togun I. The effect of chronic carbon-monoxide exposure on the peak expiratory flow values of grill-kebab chefs. Saudi Med J. 2009 Jun;30(6):788-92. 46-	J.L. Ducasse, P. Celsis, J.P. Marc-Vergnes, Non-comatose patients with acute carbon monoxide poisoning: hyperbaric or normobaric oxygenation? Undersea Hyperb Med 22 (1) (1995) 9–15. 47-	Wilson RC, Saunders PJ, Smith G. An epidemiological study of acute carbon monoxide poisoning in the West Midlands. Occup Environ Med. 1998; 55: 723-728. 49-	S. Zengin, M. Yılmaz, B. Al, C. Yildirim, E. Yavuz, A. Akcali. Therapeutic red cell exchange for severe carbon monoxide poisoning. J Clin Apher. 2013 Oct;28(5):337-40. doi: 10.1002/jca.21282. Epub 2013 Jun 8. 50-	Celikdemir A, Gokel Y, Guvenc B, Tekinturan F. Treatment of acute carbon-monoxide poisoning with therapeutic erythrocytapheresis: clinical effects and results in 17 victims. Transfus Apher Sci. 2010 Dec;43(3):327-9. doi: 10.1016/j.transci.2010.10.007. Epub 2010 Oct 25. ISNAD Yavuz, Erdal . "Carbon Monoxide Poisoning". 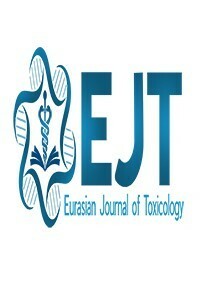 Eurasian Journal of Toxicology 1 / 1 (March 2019): 1-6.